Another in the Star Wars franchise. 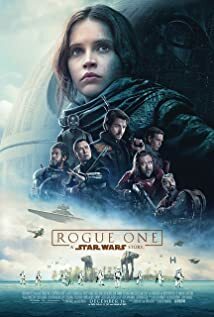 Not a big fan of the franchise but after a slow start did like the movie and its tie in to the next movie... think this one was a prequel given the ending. Safe first date movie; thrown in the hot apple pie a la mode that the Cinema Diner was offering and all was good! For more on the movie, see it on IMDB. 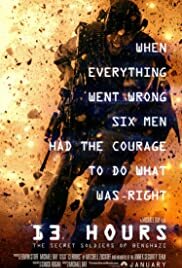 War movie that focuses on acts of valor to save lives rather than take them. Lots of blood and guts but worth the premium to see it at the theater! 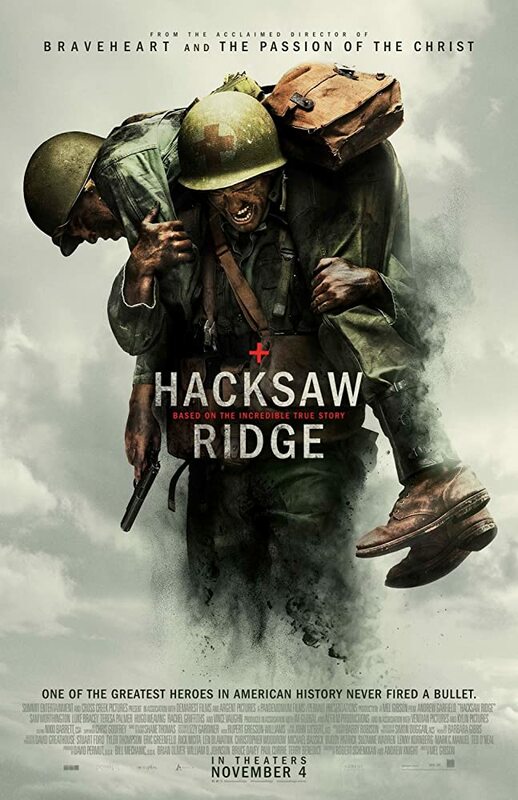 Directed by Mel Gibson, Hacksaw Ridge is a true story about Medal of Honor recipient Desmond Doss - an Army Medic and conscientious objector, who saves 75 men during the battle for Okinawa - see more on IMDB! 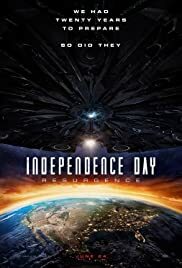 Movie that provides a shooter's point of view of the crisis in Libya. Good movie with lots of shooting. Does not place blame on Hillary; does bring to light the delays in assistance both to the Ambassador and to the CIA "Annex". See more on IMDB! Sequel to the original released in 1996. Now twenty years later, they - alien bad guys, are back! So, are a few characters from 1996. Was an entertaining movie that tied in well with the original. This one is a safe first date movie - see more on IMDB! Based on a true story about two youngs arms dealers who are caught defrauding the government. 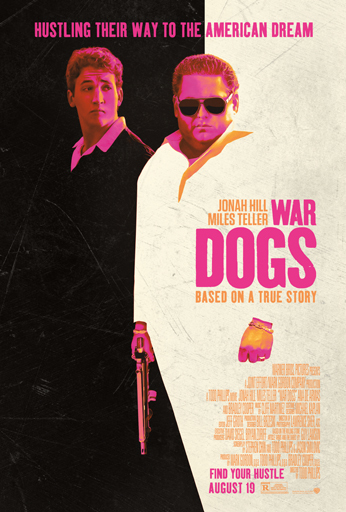 Jonah Hill and Miles Teller play the arms dealers. There is a supporting role played by Bradley Cooper. Surprisingly entertaining movie despite the subject matter! Another in the Marvel Comics franchise. 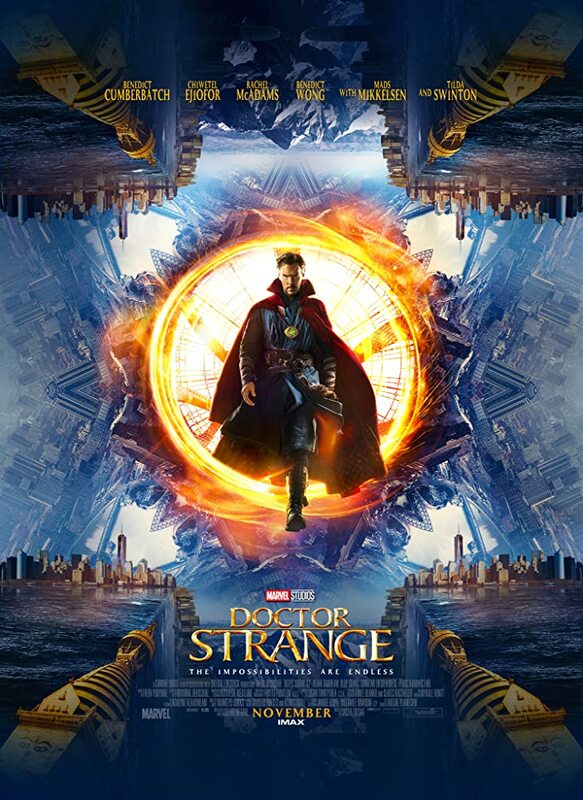 This one shows the origin of how Doctor Strange came to be. Went with the significant other as company. Was not expecting much. Luckily, it was a pleasant surprise... good movie! Funny movie with familiar actors. A little crude jokes and slapstick but who minds since it was expected for this genre. Good rental for a rainy night! Comedy with Mila Kunis, Kristen Bell, and others about Moms gone wild. Entertaining storyline that has us laughing! Nice foil with Christina Applegate! Hugh Grant, Marisa Tomei, and JK Simmons in a pleasant surprise of a movie. Hugh is a one hit wonder screen writer who takes a job teaching at a small university. Marisa is a single mom, student, and part time worker who has a liking to Hugh. JK is the nice but by the rules university president. Was flipping through the channels and landed on this movie. Entertaining movie! 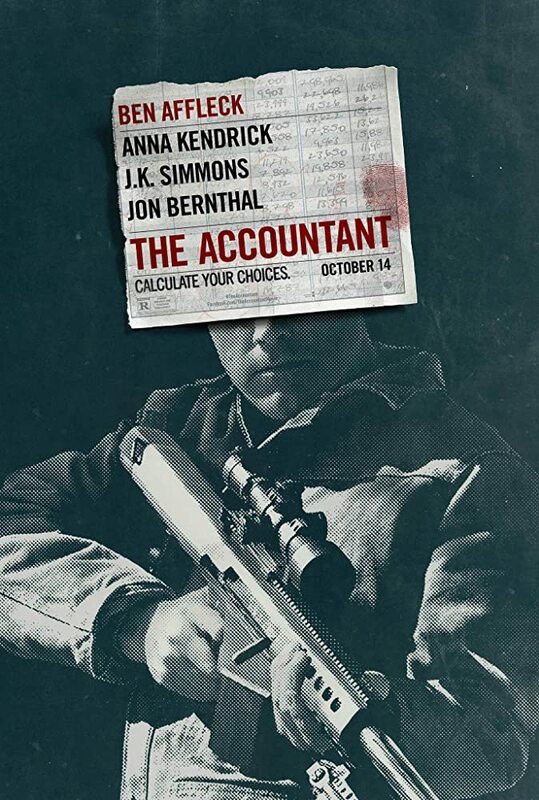 Ben Affleck plays an accountant but with a twist. It looks like he can balance the books as well as fight bad guys in a blink of eye! Lasted just over two hours. Did not feel long... great movie! Would see it over the new Jack Reached movie. Tom Cruise's sequel to the first movie in the Jack Reacher franchise. This round Jack deals with a conspiracy that has a potential love interest's life in danger... add an illegitimate daughter and lots of fist fights, and the sequel is okay. Something that the first movie captured is missing this round. Still enjoyed watching it, but would likely have waited for the DVD instead of seeing it at the Movie House. Good movie with Game of Thrones' Emelia Clarke playing a Caregiver to a quadriplegic. Funny and sad with a little romance mixed in... bummer ending squashes it as a first date movie. Still liked the movie. Do check it out! Watched the DVD. Not a first date movie. No true ending. Consider it half a movie. Ouch! Matt Damon returns as Jason Bourne! This one has cyber things but still lots of fighting and clandestine operations. Glad to have seen this one at the movies instead of waiting for the dvd! Great movie about the greatest small boat rescue in Coast Guard history. Chris Pine and Casey Affleck do a great job on their roles! This one makes thw First Date recommendation! How to Be Single is a 2016 American romantic comedy film and is based on the novel of the same name by Liz Tuccill. Was not certain on this one, but rented it. Liked the movie; funny moments to keep this going. Would hold as a first date movie given the movie's title... "How To Be Single". But, do check it out after a few more dates later with your significant other! Movie with Keanu Reeves as a detective investigating his partner's murder. Slow start and very confusing. Had to finish watching it, else should have picked a different movie. Hold on this one and skip it as a first date movie! Russell Crowe and Ryan Gosling in a comedy as Private Investigators looking for a Department of Justice Director's daughter. The Director is played bt Kim Basinger. Good movie, saw it at a theater that had reclining seats! Good movie with Geoffrey Rush, Emily Watson, and Sophie Nelisse set in Workd War II Germany. Sophie play Liesel - a young girl adopted by a Geoffrey and Emily who play an elderly German couple. Liesel cannot read and is quickly taunted by schoolmates for being dumb. However, after her adopted parent's take in Max - a Jew hiding from the Nazis, Liesel befriends him, and they soon form a lasting friendship. Learning of her illiteracy, Max teaches her to read and write which will eventually play a key role in Liesel's adult life. Good movie, starts slow but does pick up - especially like Liesel and her schoolmate/friend Rudy and their interaction with each other as kids! Do see this one when you get the chance! Ryan Reynolds as a comic book character that cannot be killed. Funny quips and references to the X-men franchise. Suggestions of a sequel were noted as well. Good movie but not on the first date rating. Do give it a watch when yo u get a chance! Watched this while working out on a treadmill. Has Josh Harnett, Bruce Willis, Morgan Freeman, and Ben Kingsley. Interesting story line that has a twist that is not so good for the bad guys. Good movie but save for a rainy day. Just came back from the Movies... saw Revenant starring Leondardo DiCaprio as Mountain Man and Scout Hugh Glass. After being mauled by a bear, left for dead, Hugh comes back from near death and takes revenge on the man that killed his son. Glad to have seen this one at the Theater, did not mind paying the premium on tickets (Friday Night opener in Dallas). May be a little queasy for a first date movie with all the blood and guts but we do say don't miss this one! For more, see details at IMDB.